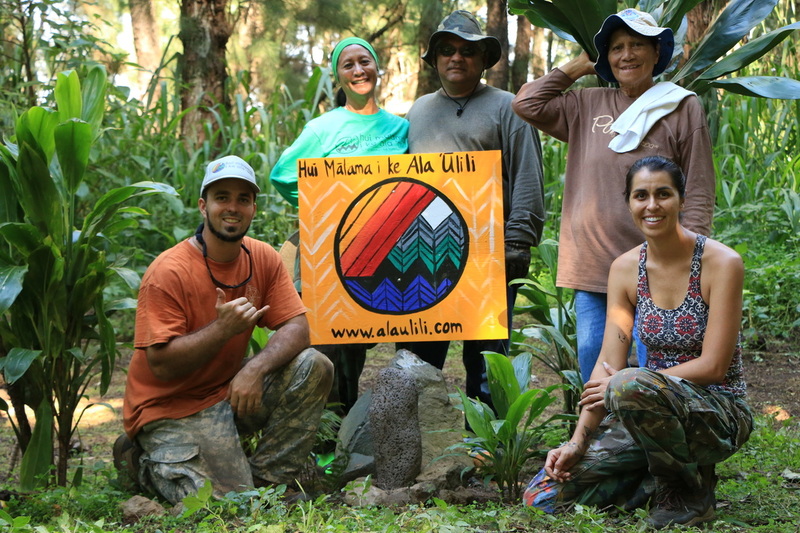 The Mālama ʻĀina Koholālele Project is a kuleana-based effort to re-establish our kuleana and living reciprocal relationship with the ahupuaʻa of Koholālele, Hāmākua, Hawaiʻi. This project is a proactive effort by huiMAU to cultivate a consciousness and living practice of aloha ʻāina within our community, leading by example to demonstrate the care and respect that this ʻāina requires. 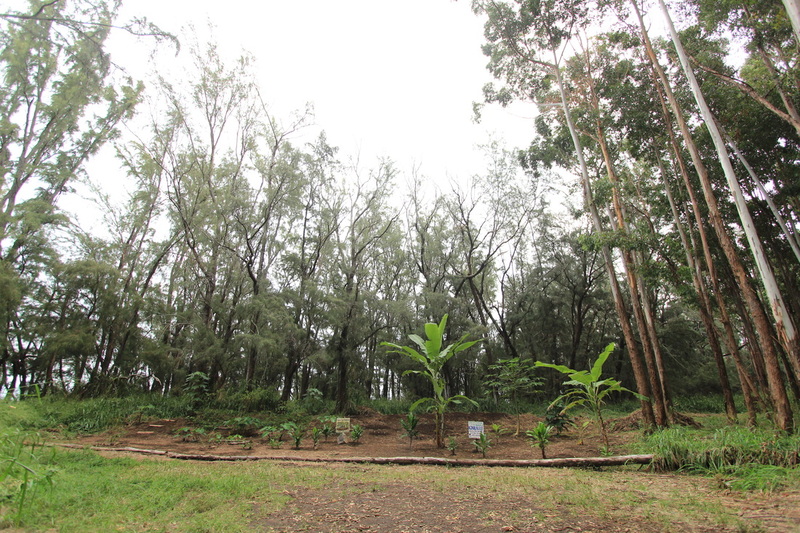 Our current project site is located along the coast of Koholālele, near Koholālele Landing. 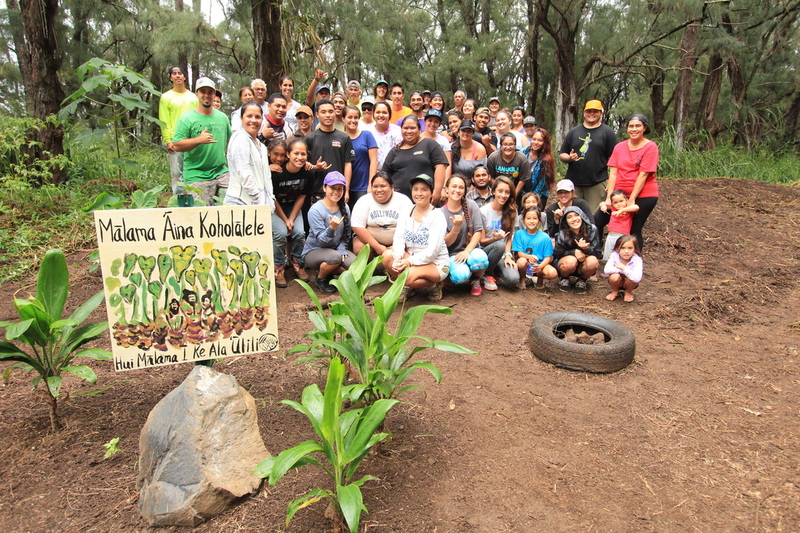 On April 23, 2016, Kumu Kainani Kahaunaele and her Papa Mele (Song and Chant Class) and Papa ʻŌlelo Hawaiʻi (Hawaiian Language Class) came to Koholālele to "huli ka lima i lalo" (turn our hands to the land) and "hāpai i ka leo i luna" (raise our voices above). 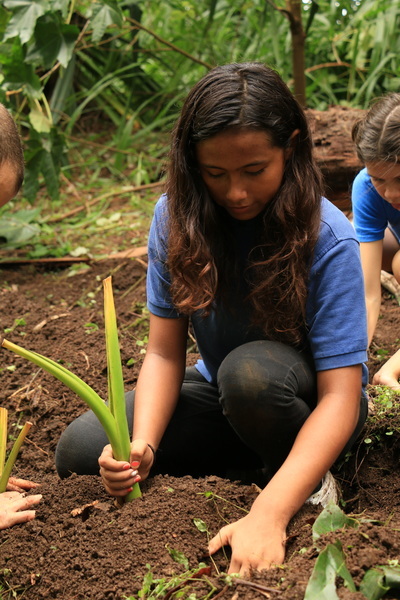 With over twenty students and volunteers, this day we effectively opened up a new māla site in a kīpuka in the ʻili of Maninini in Koholālele. 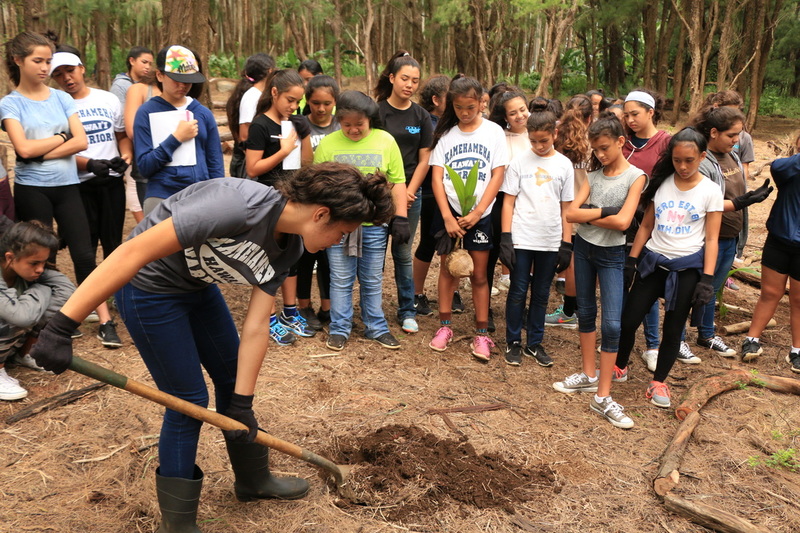 The theme of the day, "kīpuka," reminded us of the importance of cultivating kīpuka, which give us a glimpse in to the past and provide us the safe space to envision and enact alternative models of our future. 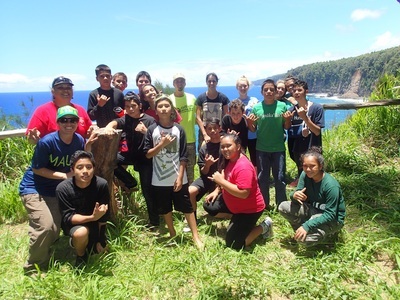 After completing our work on the ʻāina, Kumu Kainani and her class gifted Koholālele and our hui a most beautiful original mele, which they composed and performed live in Koholālele. 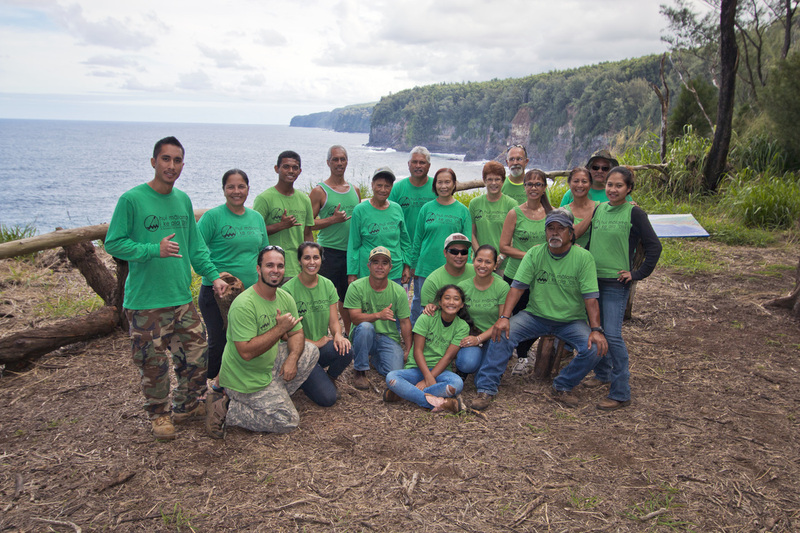 On November 7, 2015, huiMAU hosted over fifty members of our community a broader lāhui from across the Pae ʻĀina at our māla in Koholālele. 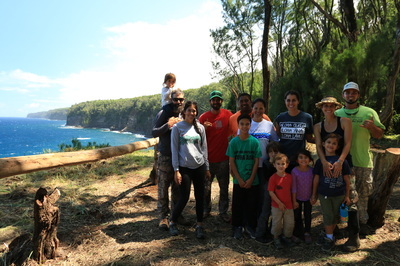 For this ʻohana workday, Kumu Kainani Kahaunaele brought her Papa Pana Hawaiʻi (storied places of Hawaiʻi class) from UH Hilo's Ka Haka ʻUla o Keʻelikōlani School of Hawaiian Language, and organizers, artists, and poets visiting us from Oʻahu for Nā Hua Ea Hāmākua also joined us to "huli ka lima i lalo," turn our hands down to the soil. 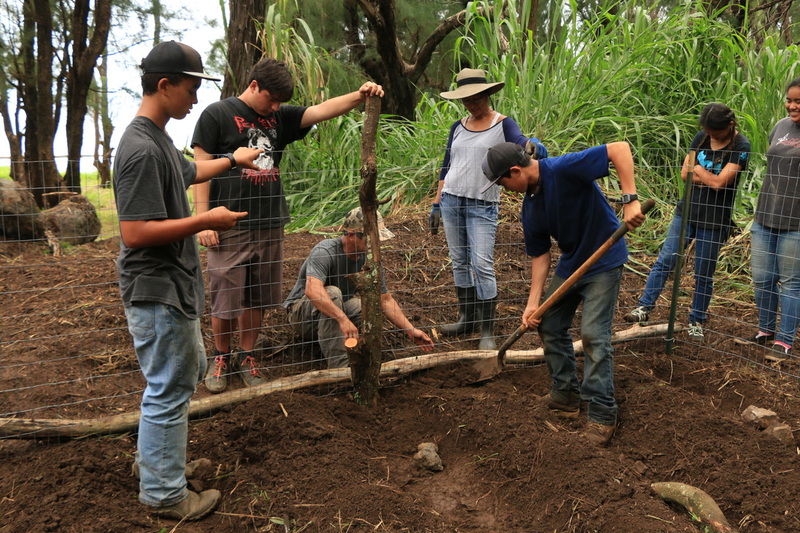 Together, four generations of "nā mamo a ʻUmi" worked to mālama this ʻāina, creating space for learning, sharing, and cultivating the growth of aloha ʻāina. 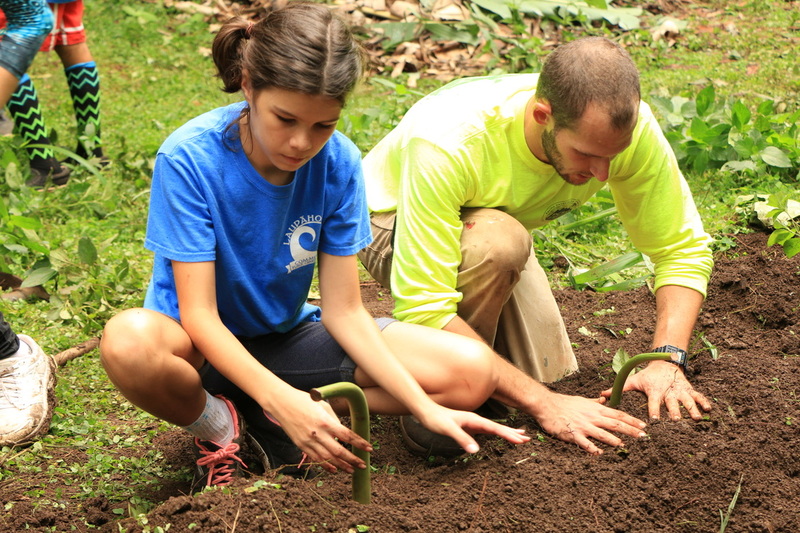 Together we cleared more weeds and planted more ʻai (kalo, food). ʻana o nā kamaʻāina, nā malihini, nā kūpuna, nā ʻaumākua, nā mākua, a me nā keiki ka mea i ola ai kēia wahi. 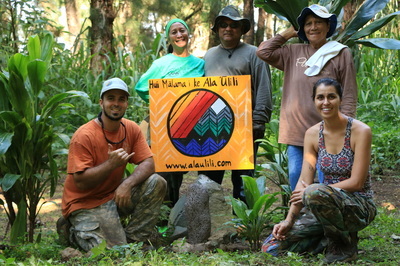 Ua loli nō ma muli o ka ulu ʻana o ke aloha i ka ʻāina, a me ka ulu ʻana o ke aloha i waena o ka poʻe ma laila.” (“The wind makes the work pleasurable. The aloha for this place is another thing that is clearly seen. The coming together of the kamaʻāina and the malihini, the kūpuna and the ʻaumākua, the parents and the children is what brings life to this place. My perception has indeed changed because of the growth of aloha for this ʻāina, and the growth of aloha between all of the people who gathered there.”) This reflection, echoed in similar ways by many others, reminds us that in all the work we are engaged in, in our community and at Koholālele, the most important thing for us to cultivate is aloha—aloha for ʻāina and aloha for each other. 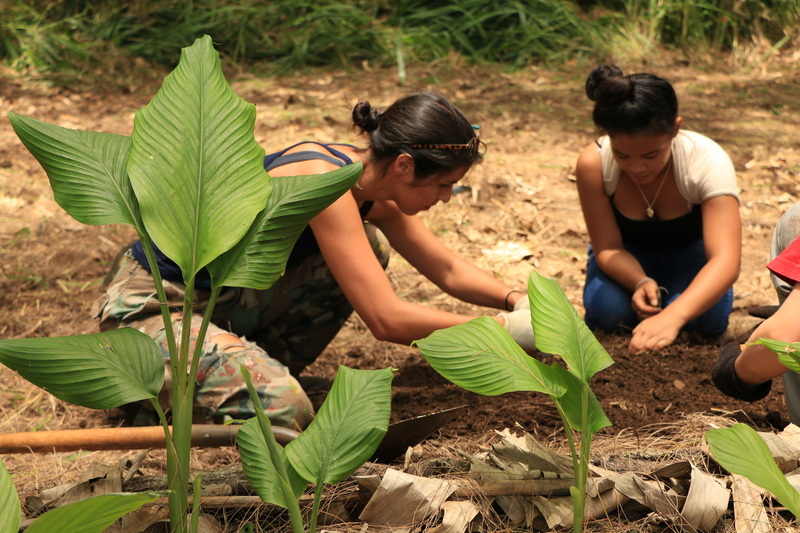 Further, this reflection reminds us that we must continue to be conscious in bringing people together with this ʻāina. We must be conscious in bringing together kamaʻāina and malihini, multiple generations of ʻohana from kūpuna to keiki, and we must be intentional in inviting our ʻāina, ʻaumākua, and akua to engage in the process of building community and lāhui together. 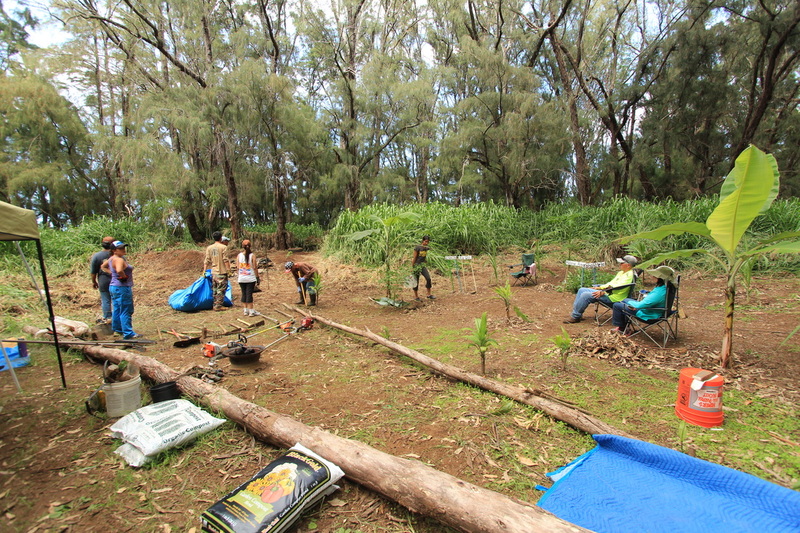 The haumāna of Kumu Kainani's Papa Pana Hawaiʻi presented their hōʻike, a performance of the moʻolelo of ʻUmi-a-Līloa, including a koʻihonua (genealogy chant) for ʻUmi, hula, mele, hana keaka (acting) and haʻi moʻolelo (storytelling). 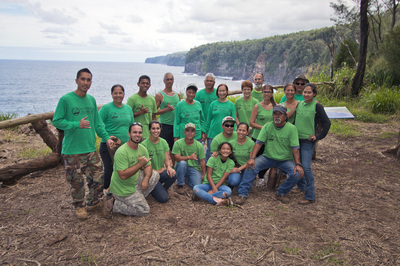 Their re-enactment of the moʻolelo was shared at our māla in Koholālele for all present to witness and enjoy - the ʻāina, the akua, the kūpuna and ʻaumākua, and the living descendants of the famous aliʻi of Hāmākua, ʻUmi-a-Līloa. 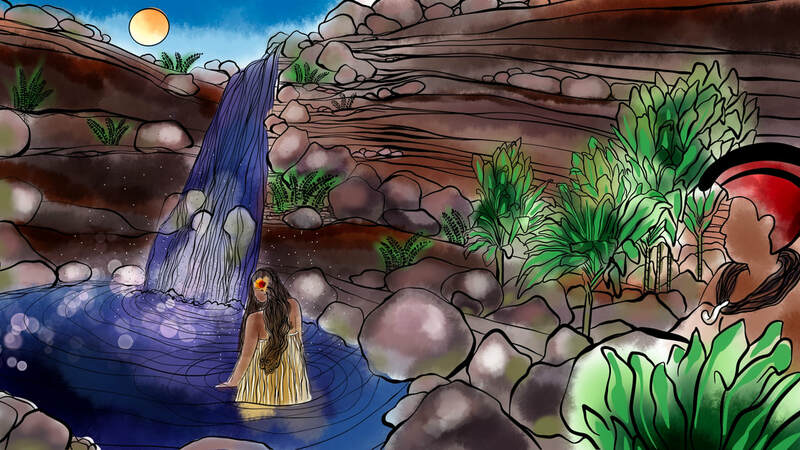 According to Kumu Kainani and her haumāna, the class was assigned to read the moʻolelo of ʻUmi on our Moʻolelo no ʻUmi Blog page, and tasked with writing, directing, and choreographing the performance themselves. They impressed everyone present, and surely made very proud the aliʻi from whom the moʻolelo and performance was dedicated. 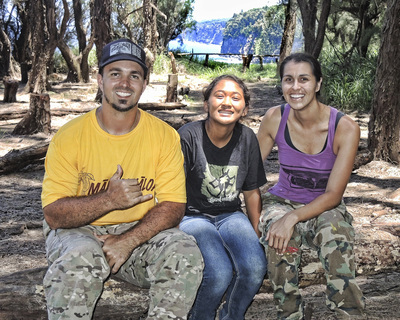 As ʻohana and as a Hui, we feel very humbled and privileged to have witnessed and shared in such an awesome expression of aloha ʻāina in this place. 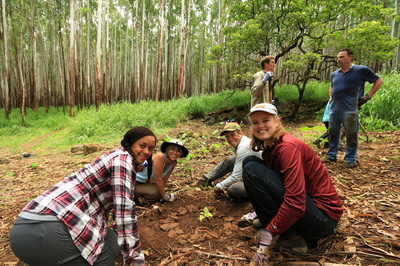 Mahalo nui iā ʻoukou e nā kumu a me nā haumāna! 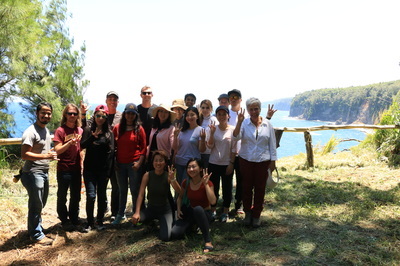 On May 9, 2015, huiMAU hosted a group of kumu and haumāna (students) from the departments of Political Science, Hawaiian Studies, and Natural Resource & Environmental Management at UH Mānoa. 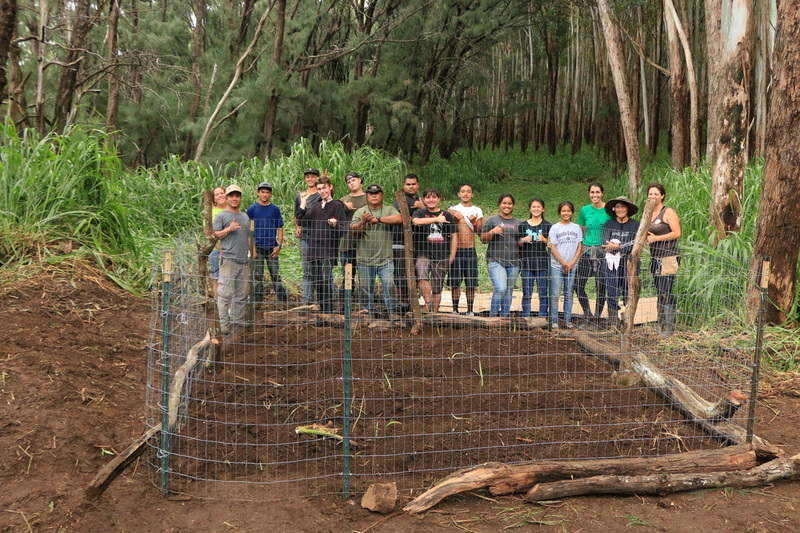 After being blessed in the morning by the ua kīhene lehua (the rain the brings forth the lehua blossoms), we turned our hands to the soil for a few hours, weeding our Mālama ʻĀina Koholālele māla and clearing a new space for continued growth. 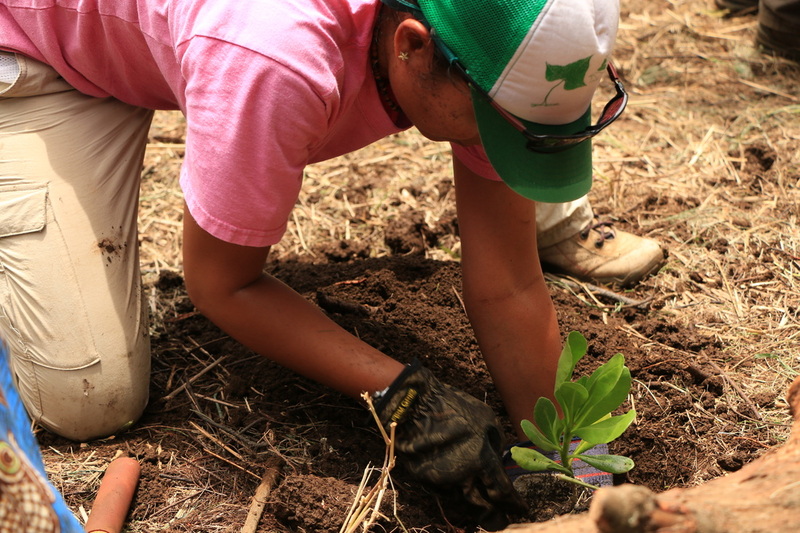 As many hands have come back to this ʻāina over the past two years to help pull the weeds and plant the food again, we seen and felt the healing that is occurring on and in this ʻāina. Pōpolo, one of our native medicinal plants, has returned in abundance to this ʻāina on its own accord. The seeds of our resurgence, it appears, remain in the fertile soils of our ʻāina, waiting for us to tend to them once again. 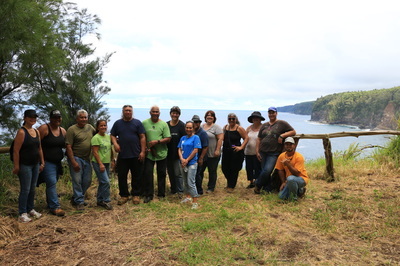 After in this work together, we spent the rest of the day sharing the moʻolelo of these ʻāina, from the pali lele koaʻe of Koholālele, to the mole uaua o ʻĪ at Kainehe. 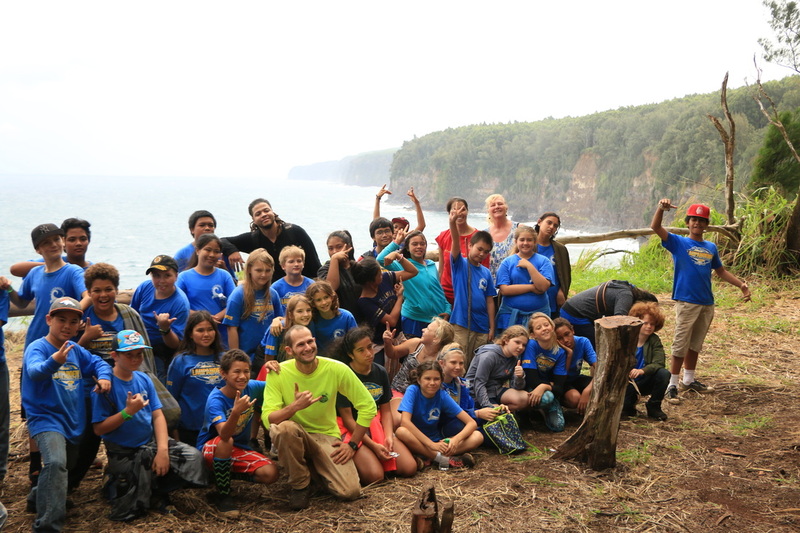 Mahalo nui to Kumu Noelani Goodyear-Kaʻōpua (and students, and ʻohana), Kumu Jonathan Osorio, Kumu Kekuewa Kikiloi, and Kumu Mehana Vaughan for sharing your mana and aloha with our hui and ʻāina through your presence, hana, and leo aloha. 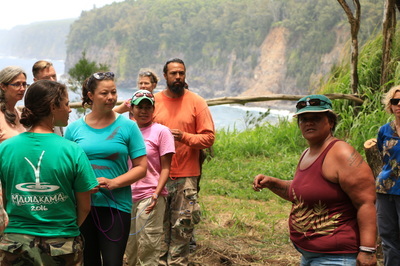 Mahalo nui also to Danya Hakeem and Kekuewa Kikiloi for sharing your photos of the day's experiences with us. 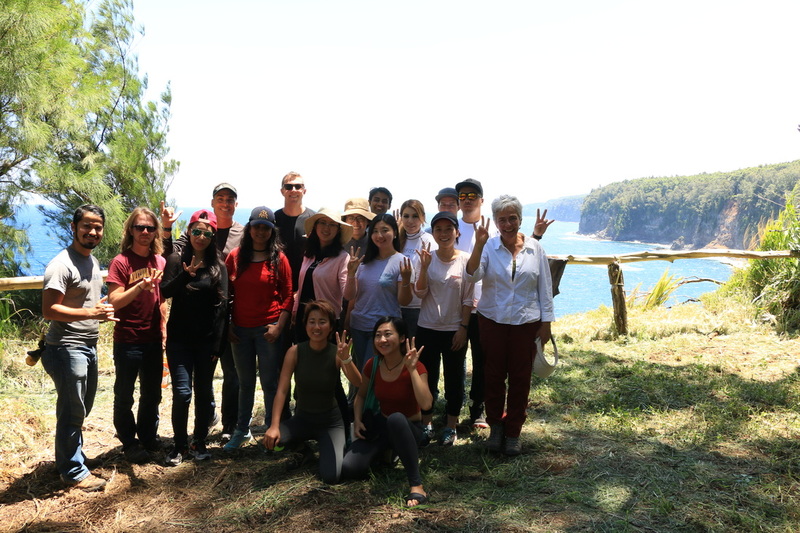 Mahalo nui iā ʻoukou! 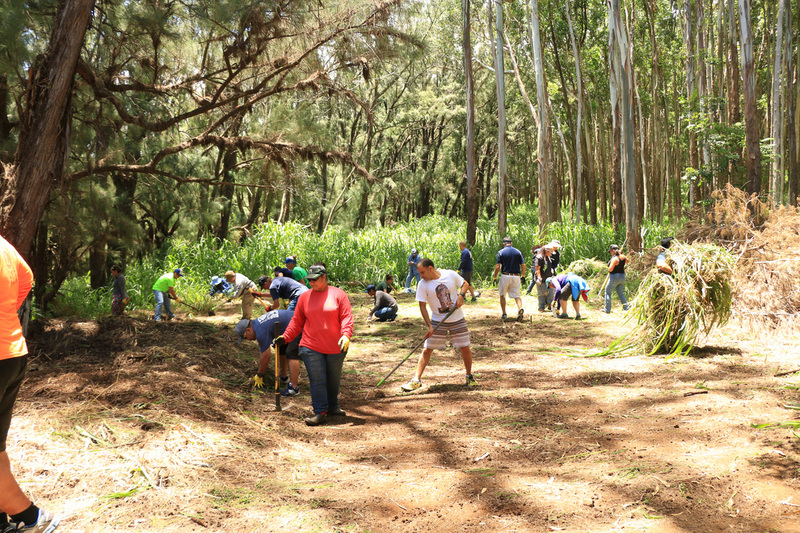 Here are some photos from our January 31, 2015 ʻOhana workday at Koholālele. 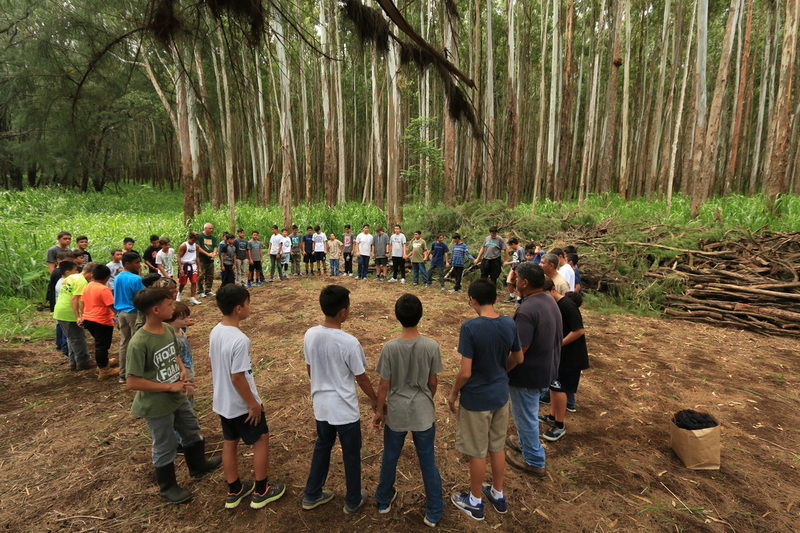 On Nov. 8, 2014, huiMAU hosted kumu and haumāna from Ka Haka ʻUla o Keʻelikōlani College of Hawaiian Language at UH Hilo for a day of mālama ʻāina and sharing of moʻolelo at our māla in Koholālele. 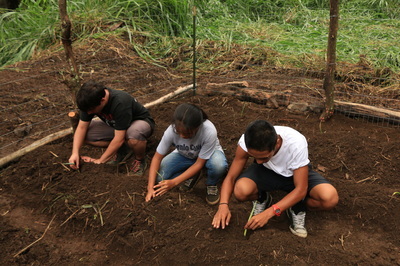 In the morning we "huli ka lima i lalo," turned our hands to the soil, and cleared out a new area of our māla that was overgrown with cane grass. 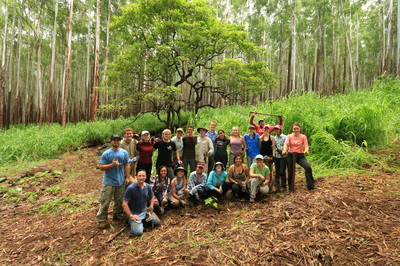 One group also went down to Koholālele Landing to pick up ʻōpala. Many hands made the work go quickly. As we worked, the beautiful sound of the waves crashing against the pali was complimented by the melodic sound of our ʻōlelo makuahine (mother tongue), ʻŌlelo Hawaiʻi, being spoken by mākua and keiki. Soon after our work for the day was completed, the ua Pupūhale joined us, soaking our clothes and bringing life to the ʻāina. For the rest of the day, we spent time together sharing moʻolelo of Koholālele and Hāmākua, of the famous aliʻi of this ʻāina, ʻUmi-a-Līloa, and the winds and rains that had joined us, and of the cliffs that had been scaled by our kūpuna to go holoholo along this coastline. 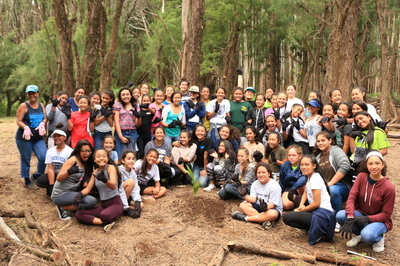 Mahalo nui iā ʻoukou e nā kumu, e Kumu Kainani, e Kumu Maikalani, no ka lawe ʻana mai i kāu mau papa ʻōlelo Hawaiʻi e kipa mai iā mākou i ko mākou ʻāina aloha o Koholālele. 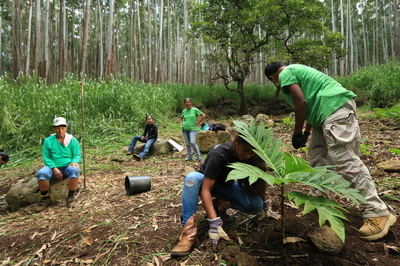 Mahalo hoʻi e nā haumāna no kou mau leo a me kou mau lima a me kou aloha pau mau loa no ko kākou ʻōlelo makuhine a me ko kākou ʻāina. E hoʻomau aku kākou i ke kuamoʻo pono! E hoʻoMAU! 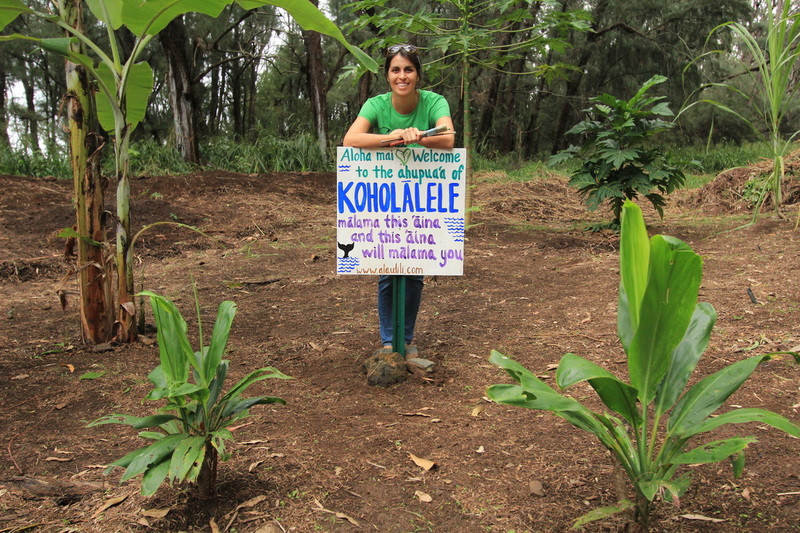 "Aloha mai, welcome to the ahupuaʻa of Koholālele. Mālama this ʻāina and it will mālama you." 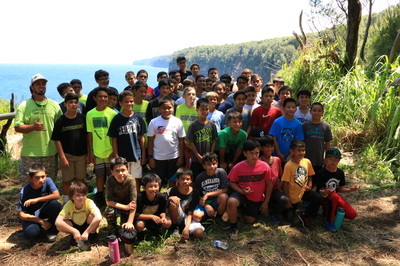 huiMAU ʻOhana & Ka Haka ʻUla o Keʻelikōlani ʻohana. Mālama ʻĀina Koholālele community māla ʻai. 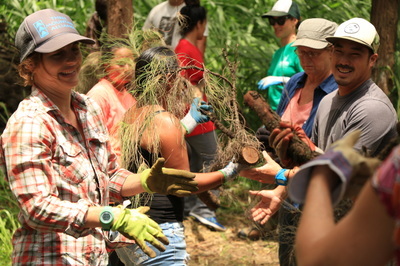 We invite those in our community who aloha this ʻāina to join us in embracing this kuleana. When the ʻāina thrives, so do we. Hoʻokahua ka ʻāina, hānau ke kanaka. The ʻāina creates the foundation upon which the people are born. To get more information about how you can get involved, get in touch with us on our "Contact Us" page! 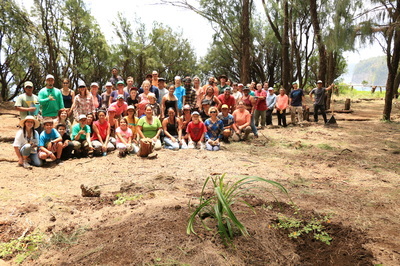 On May 10, 2014, Hui Mālama i ke Ala ʻŪlili held our second official lā mālama ʻāina, work day, at the Mālama ʻĀina Koholālele māla (garden) site. 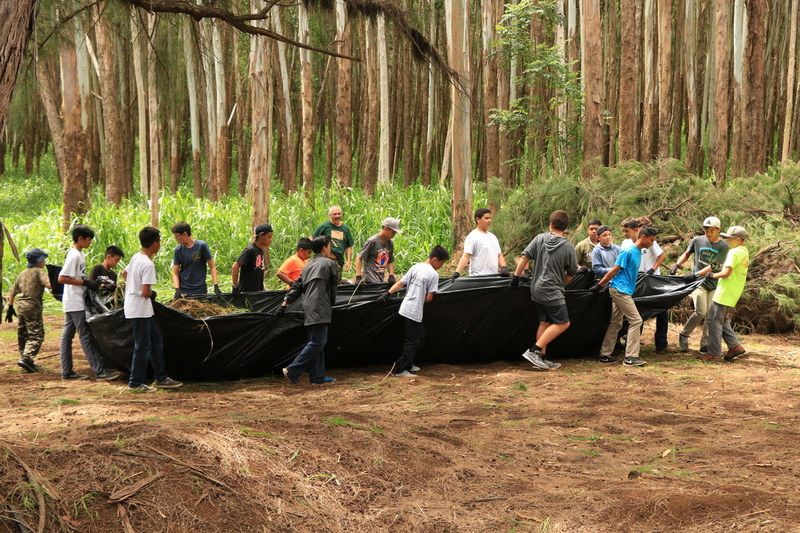 Together with our kūpuna, we were able to double the size of our māla, clearing invasive cane grass, removing ʻōpala, and planting in kukui, māmaki, ʻohe, and ʻuala. 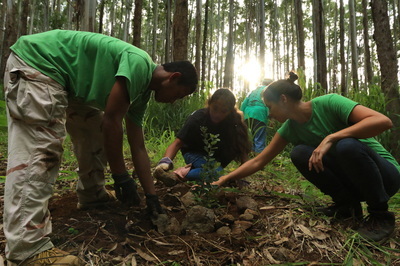 As our māla grows, so too has our relationships with the ʻāina, our community, and each other. 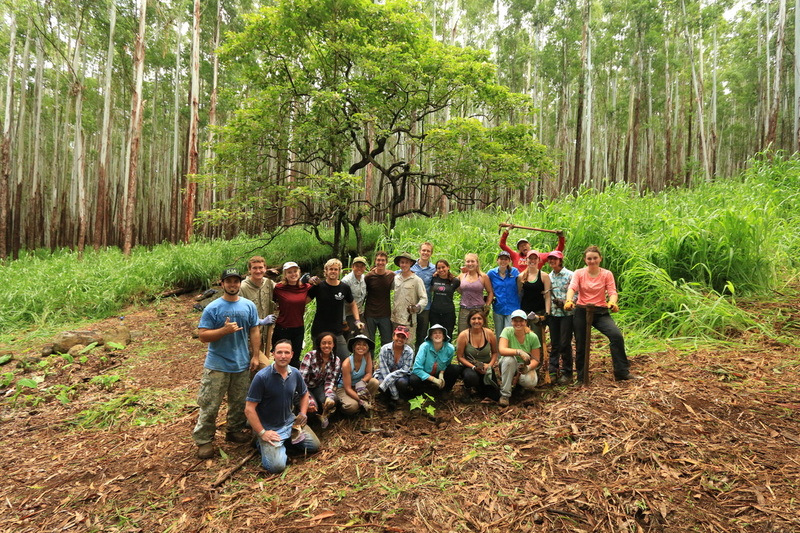 It has been truly amazing to see how the ʻāina has responded to our efforts to mālama her. 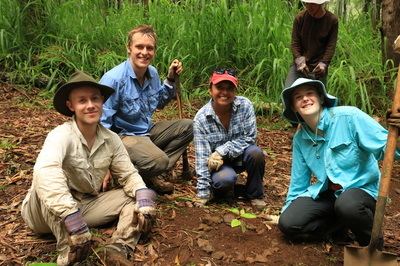 All the plants we planted on our first work day are growing very well, and the ʻāina itself seems to be breathing clearly again. 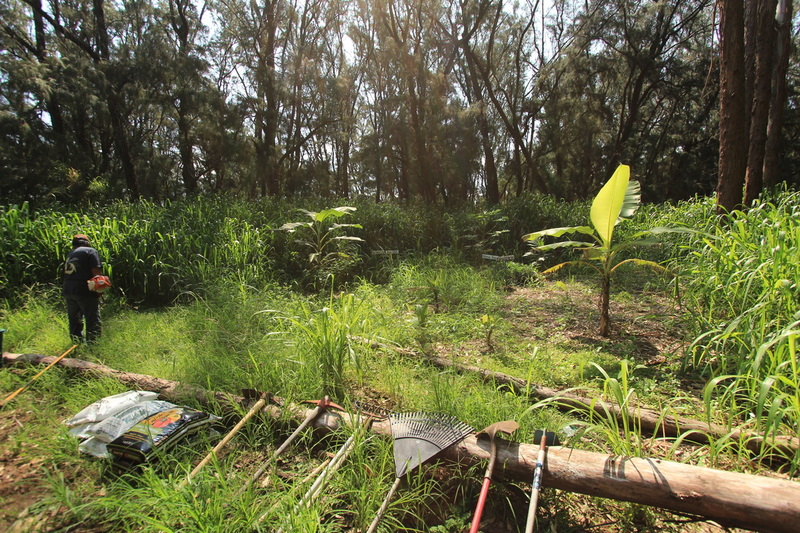 As we have removed the layers of cane grass that have covered these ʻāina for years, we have seen native medicinal plants like pōpolo return, healing the ʻāina and us, its people. Before - May 10, 9 AM. After - May 10, 3 PM. 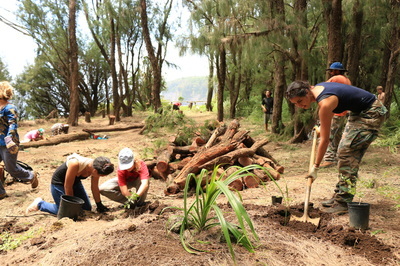 On Saturday, November 16, 2013, Hui Mālama i ke Ala ʻŪlili began the first day of work on our Mālama ʻĀina Koholālele Project at Koholālele Landing. Beginning in the morning and working until mid afternoon, members of our hui worked to clear invasive cane grass, removed ʻōpala, and planted maiʻa (banana), kī (ti leaf), kō (sugar cane), and ʻulu (breadfruit). 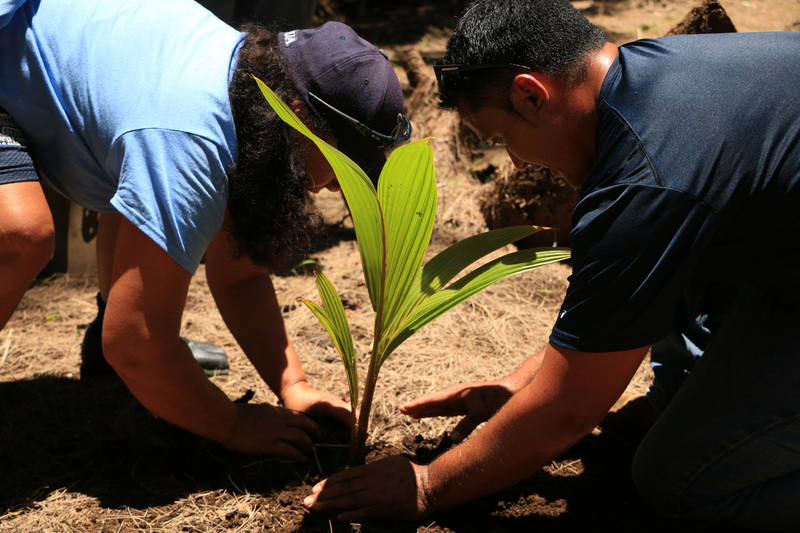 As one of our hui leaders and organizers of the event, Aunty Loke Alpiche expressed as we gathered at the end of the day, "A garden represents growth, and the seed was planted today." 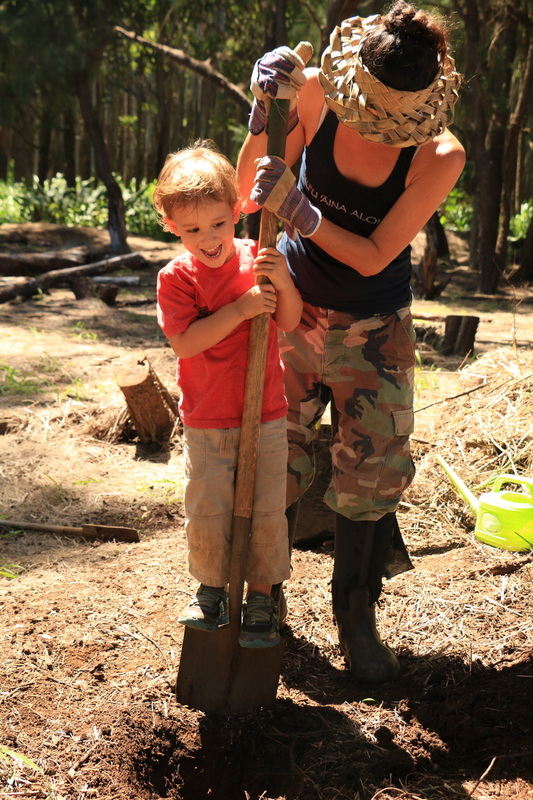 Our garden is small now, but it will grow. 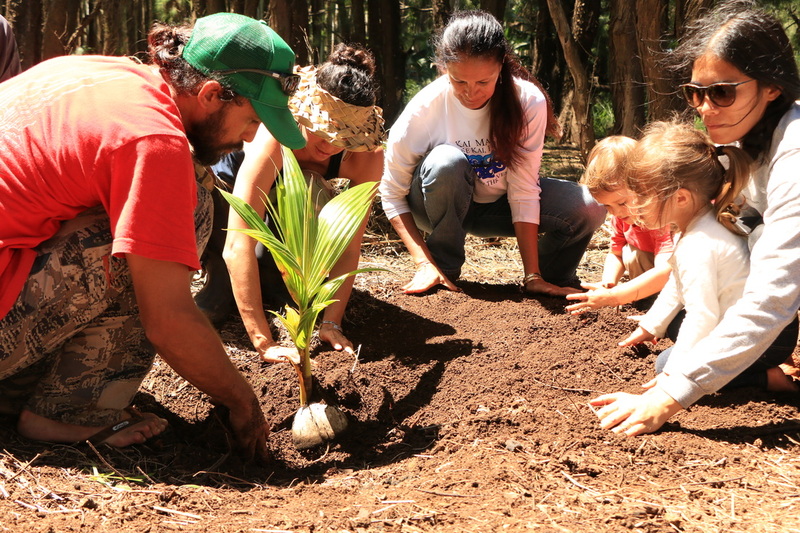 As the ʻulu, the symbol of growth, matures, grows, and bares fruit, so too will our hui. 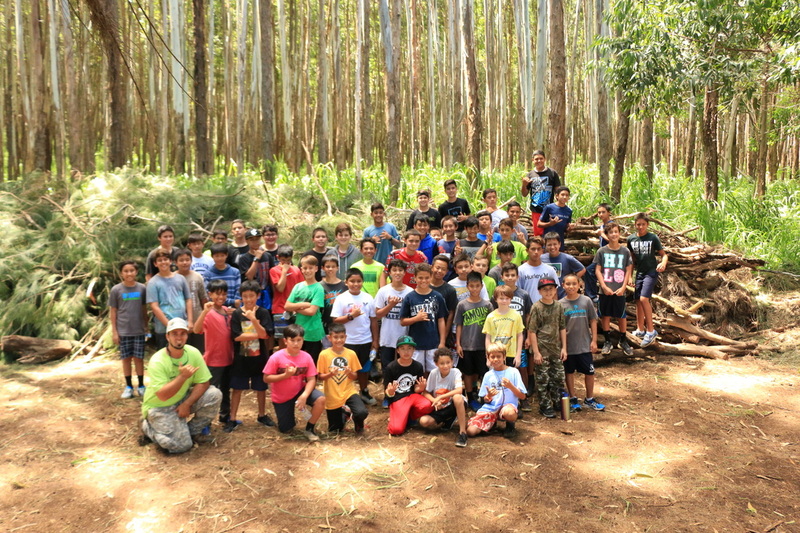 Stay tuned to our "Upcoming Events" page for announcements and updates on our next planned Mālama ʻĀina Koholālele event! 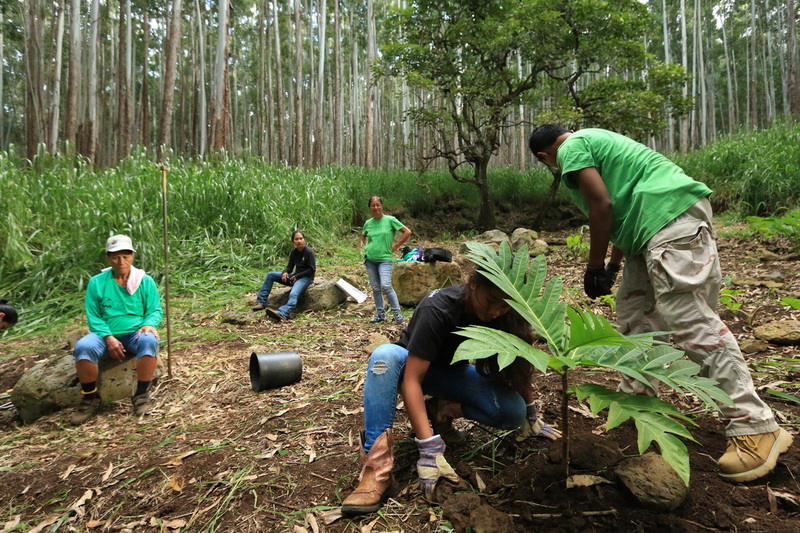 The Mālama ʻĀina Koholālele Project is a kuleana-based effort to re-establish our kuleana and living reciprocal relationship with the ma kai regions of the ahupuaʻa of Koholālele, Hāmākua, Hawaiʻi. 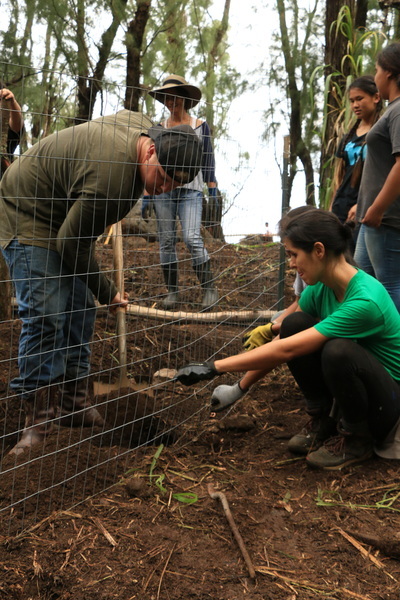 This project is a proactive effort by huiMAU to cultivate a consciousness and praxis of aloha ʻāina within our community again, leading by example to demonstrate the care and respect that this ʻāina requires. 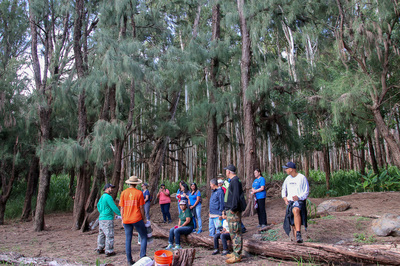 Guiding these efforts is the collective knowledge of kūpuna, mākua, and ʻōpio from the area, as well as the knowledge that has been derived from the more than six years of ethno-historical research conducted about Koholālele and adjacent ahupuaʻa in collaboration with huiMAU. 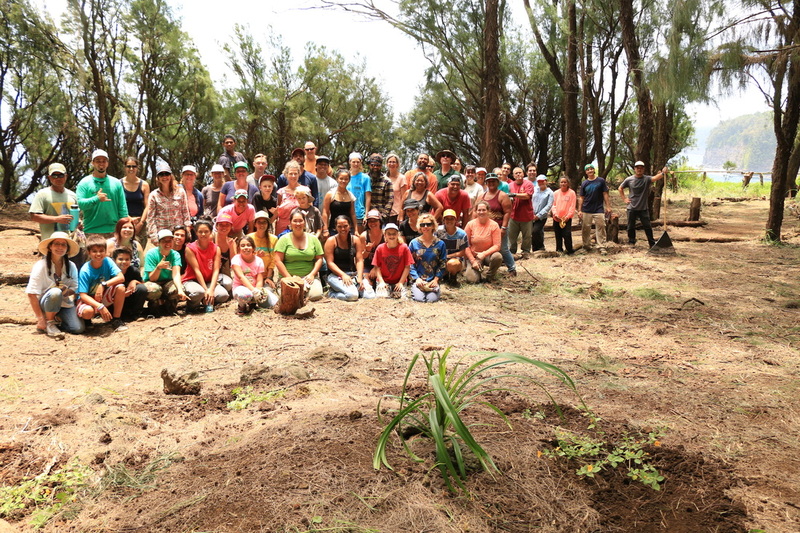 See an article published about our Mālama ʻĀina Koholālele Project in the Hāmākua Times! Time lapse video by Keoni Bailado. To learn more about the history of the ahupuaʻa of Koholālele, check out our Koholālele page!